Registration Day is a day full of anticipation and excitement as students take the final step in becoming a Newman Jet. 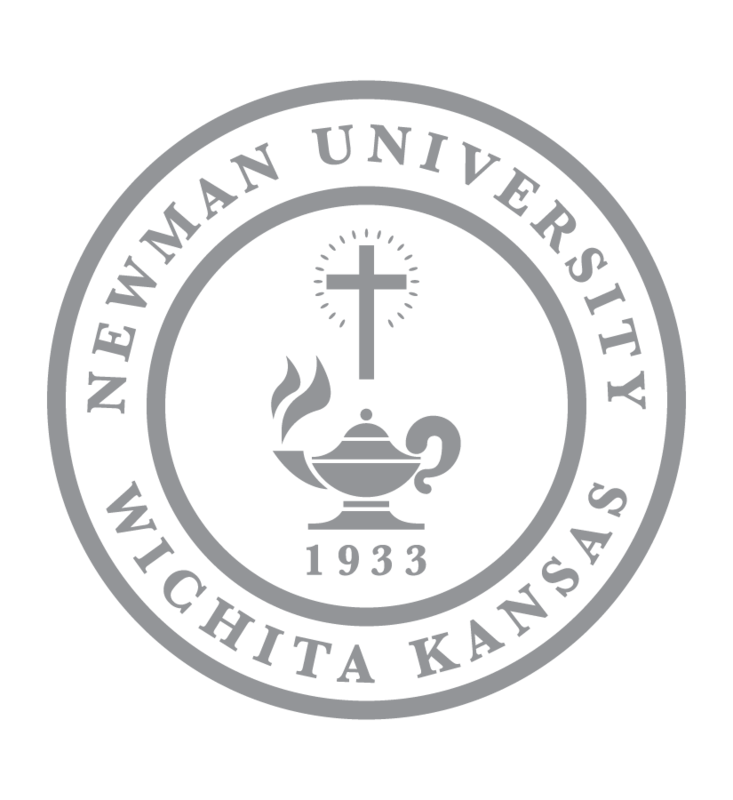 The first of four registration days took place April 27 at Newman. 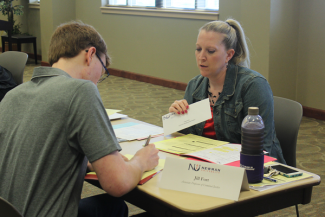 Throughout the day, 45 high school seniors took part in breakout sessions, attended an activities expo, met with their advisors to register for courses, got their student identification cards and filled out housing applications. 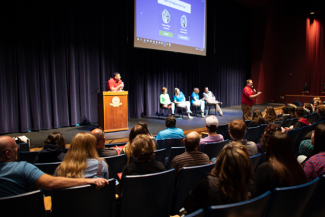 The first activity of the day included a panel of students and staff who took the stage to answer any questions the students may have. Questions about housing, courses and activities on campus were addressed. After a short break, a panel of staff members including Academic and International Advisor Ami Larrea, Director of Career Services Melody Head, Coordinator of Early Intervention Debbie Haslam and Director of the Academic Resource Center and Title IX/ADA Coordinator Case Bell took the stage to help along a game of “Kahoot!,” a digital trivia-style learning game. Trivia questions about Newman were shown on the projector and students sent in their answers via their mobile devices. The correct answer would be revealed and the staff elaborated. A panel talks to students about academic success. 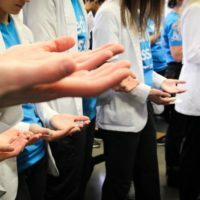 After familiarizing themselves with Newman a bit, students were able to start in on official Newman business. They received their student identification card in the library, logged into their email account, filled out housing applications and spoke with their advisors to register for their first semester of classes. Nursing major Tyler Pollard from Chaparral High School was excited to attend registration day. “I’m just excited to get all of my classes planned out and get everything set up,” she said. She’ll join the cheerleading team at Newman and said she can’t wait to branch out and meet new people. Attending college is a life-changing decision and registration day is only the very beginning of the journey. The most important part of the day is registering for the first semester of college classes. 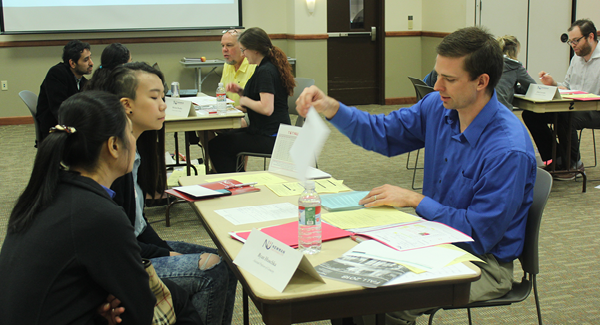 Advisors filled the Dugan-Gorges Conference center with plans in hand to speak to their students. Fort helped her students map out their course schedule and make a plan for their four years at Newman. 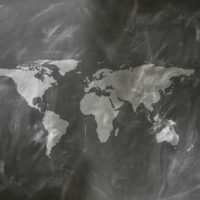 She oftentimes has to help them understand the difference between high school and college courses, a difference many students don’t understand until enrollment. Jill Fort talks with an advisee on registration day. 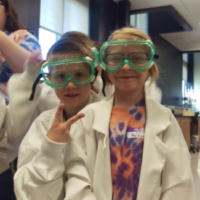 “Getting them familiar with the various components of college is kind of fun. I remember when I went through it. It’s an exciting time for them,” she said. Realizing that college courses only last a semester and class time occurs in small chunks throughout the day can be a confusing change for students. Fort will more than likely work with these students for the entirety of their college career at Newman. Getting to watch students grow and succeed throughout their four years is rewarding for her and graduation is the big payoff. Kristi Edwards, assistant professor of criminal justice, enjoys not only meeting her students on registration day but meeting with their parents as well. As an advisor, the goal is to help guide the students down a path of success at Newman. That means finding out what makes each advisee unique and finding opportunities for them to flourish.